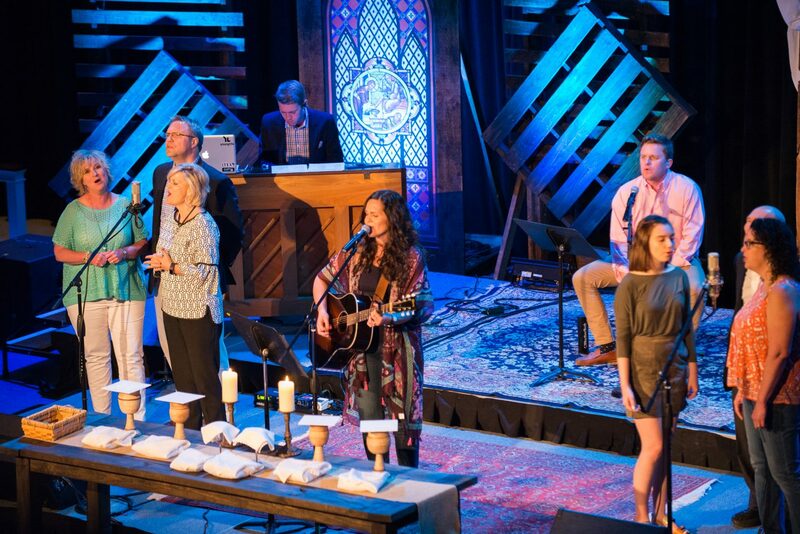 The mission of the Music and Arts Ministry at Buncombe Street United Methodist Church is to glorify God by enriching our community of faith through an inclusive, comprehensive, and dynamic visual and performing arts program. Do you have a passion for worship and a musical gift to share? If so, you are invited to audition to be a part of the contemporary worship band at The Table under the direction of our contemporary worship leader, Emily Cupelli. The worship team leads the contemporary worship services on Sunday mornings for both the 8:45 and 11 AM services at the downtown campus. Singers and musicians are invited to be a part of our rotating volunteer group depending on availability and need. Rehearsals are held at 6:30 PM on Tuesday evenings in the band room beside Sisk Hall. Please contact Emily if you are interested in learning more about this opportunity and how to get plugged in! The Chancel Choir at the Downtown Campus is an SATB ensemble open to singers in the church from senior high youth through adults under the direction of Rosemary Hughes and accompanied by Vance Jenkins. 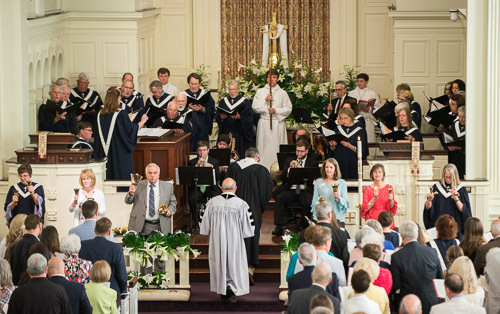 The Chancel Choir sings weekly at the 8:45 and 11:00 AM traditional worship services held in the Sanctuary. 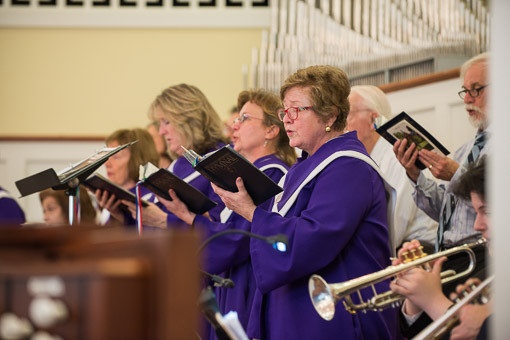 In addition to providing vocal leadership on hymns and presenting anthems, this choir performs at least two major works during the year with orchestral accompaniment. New singers are always welcome, and rehearsals for the Chancel Choir are held at 6:45 PM on Wednesdays (August through May) in the Choir Room. The Chancel Choir at the Trinity Campus is under the direction of Joyce Ford and accompanied by Bob Powell. This SATB ensemble rehearses on Wednesdays at 7:00 PM (September through May) in the Choir Room and sings for the weekly 11:00 AM worship services. We welcome new singers at the Trinity Campus as we seek to lead all of God’s people in worship. Buncombe Street UMC offers age-appropriate musical instruction for our preschool and elementary-aged children. Rehearsals are held on Wednesday evenings and Sunday evenings, September through April. Click to email Rosemary Hughes for additional information or to register your child. Buncombe Street UMC is a member of the American Guild of English Handbell Ringers and rings with five octaves of White Chapel bells. An adult handbell choir that rings monthly for worship and participates in community events regularly. This handbell choir rehearses September-April on Wednesdays from 5:30-6:30 PM in the Choir Room and is directed by Dianne Eikenbusch. An adult handbell choir that rings on special occasions for worship and rehearses on Wednesdays from 6:00-7:00 PM in the Choir Room. Members of this choir ring in collaboration with ringers from Redeemer Episcopal, and the choir is directed by Joyce Ford. The Shell Gallery in the Truluck Room exists to glorify God by enriching our community of faith through dynamic visual arts. 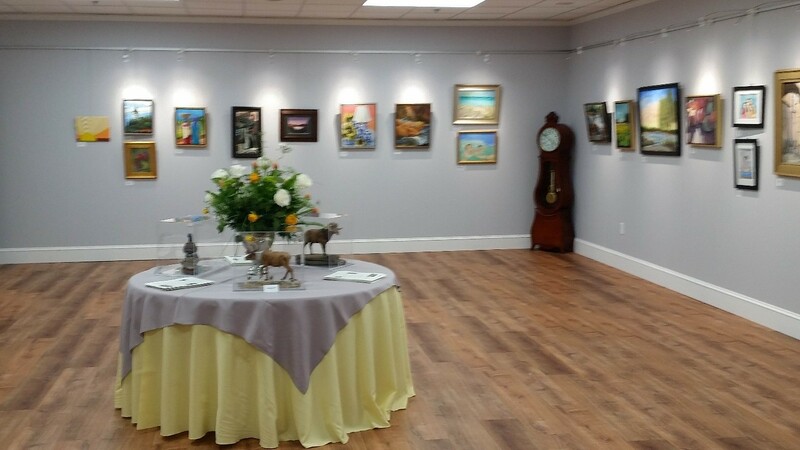 The Gallery offers exhibits throughout the year and features a variety of artists and artistic styles. Shows are determined by a Selection Committee, and artists participate in accordance with the Exhibit Guidelines. The Gallery was given to the glory of God and in memory of Katherine and Owen Shell, who spent more than 40 wonderful years in Greenville and at Buncombe Street UMC, by their family. To submit a piece for the next exhibit taking place March 31-May 26th, please click below.